Yes, we get it. There’s snow in the forecast and the ground is still frozen—but that’s not to say it’s too early to start planning for 2019. If you’re contemplating a backyard renovation project, now is the time to get started. Why? Because it will give you ample time to speak with and interview potential contractors, it will allow you plenty of time to get whatever permits you may need, and you’ll beat the spring rush- which means you’ll be first in line to get your work on the contractor’s schedule. 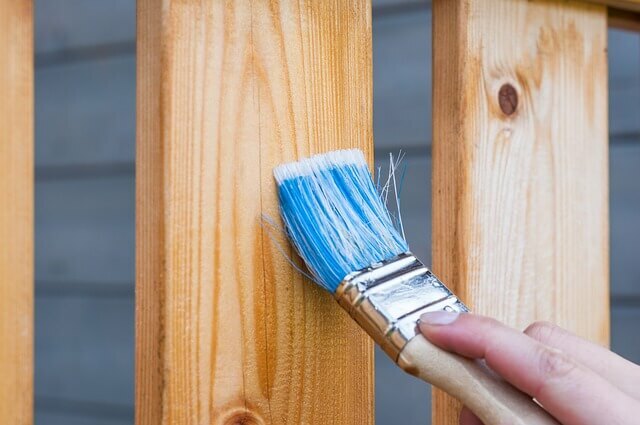 This can help ensure that the renovation is complete in the spring- which means you’ll be able to enjoy your upgraded outdoor living space in the late spring, summer and fall. Below are just a few of the hottest trends for 2019. If the foliage in your backyard could use an upgrade, you’ll want to reach out to a few local landscapers to see how they can help refresh the look. There are lots of new fresh design concepts that are available and hiring a professional can help you visualize and plan something truly amazing. Swimming pool technology has changed quite a bit since you were a child, which means the days of digging a hole to install a pre-bought, pre-formed pool are in the past. Today, swimming pool designers can come to your home to help you with a custom design. Yes, you can build your swimming pool from the ground up! Do you want a slide? How about a waterfall? Do you want water walls or a fountain? If you can dream it, a designer can help you achieve it. Wetworks Pool & Spa has been helping local homeowners with custom swimming pool design for years. We’ll be more than happy to share our portfolio with you if you’d like to see some examples of what we can do. If you bought a home that already had a pool but you’re wanting to know if there are ways that you can enhance your outdoor oasis, the answer is yes! The best way to achieve this is to contact Wetworks Pool and Spa to schedule a time for one of our designers to come to your home. During the appointment, we’ll be able to find out more about what you want, and we’ll be able to asses the space to see what’s possible. If you’re adding a pool or upgrading what you already have, don’t forget to ask about outdoor lighting. We can even recommend special color-changing LED lighting, which can give your backyard an ambient feel. Wetworks Pool & Spa is a local, family-owned and operated company that has an A+ rating with the Better Business Bureau. We specialize in custom-designed spas and swimming pools and we also offer pool maintenance services. If you’re wanting to install a new pool or upgrade what’s already there, give us a call today to get started. Remember- calling now will help ensure the renovation is complete before you open your pool in 2019. What’s the difference between a saltwater pool and a chlorine pool? We recently received a call from a local homeowner who expressed interest in installing a pool next spring. Her primary question surrounded the differences between saltwater pools and chlorine-based pools. Since this is a question we tend to get rather frequently, we thought we’d take a minute to address the query in a blog. This is by far the most common type of swimming pool that we install in Denver, CO and its surrounding areas. This type pool is generally kept clean through the use of chlorine tablets. Not only do they help disinfect the water, chlorine tablets also help prevent algae from blooming. Tablets are sometimes added to an external feeder (the external feeder is generally installed in close proximity to the swimming pool) and other times, they’re placed in a floating device that’s placed in the water. A floating dispenser can be purchased for $10 to $30 dollars, but you’ll want to keep in mind that this option is best for people who own small-sized pools. If you have a large pool, you’ll be better served by installing an external feeder, since this will allow for better chlorine distribution. External systems can span between $50 and $250. Most people find that chlorine pools are easy to maintain, so long as they remember to keep a stock of chlorine tablets in a backyard shed or in the garage. A key thing to remember, is that just because it’s “saltwater-based” that doesn’t mean the pool is chlorine-free. Instead of adding tablets, this type of system uses a special type of machine that helps to convert the salt that’s in the water into chlorine. You’ll also want to keep in mind that the cost to purchase a chlorine generator can span between $500 and $3,000, depending on your needs. The salt cells in the pool will also need to be replaced every few years; this can cost between $200 and $700, on average. Saltwater pools have become increasingly popular in the past two decades, but some people find that they’re cost prohibitive. The average annual cost for chemicals for a saltwater pool may be relatively inexpensive (most people find they pay less than $100 per year), but since they tend to use a lot more energy, this can lead to upticks in your monthly electric bill. The average annual cost for chemicals for a chlorine pool can run between $300 and $800, depending on the size of your pool. 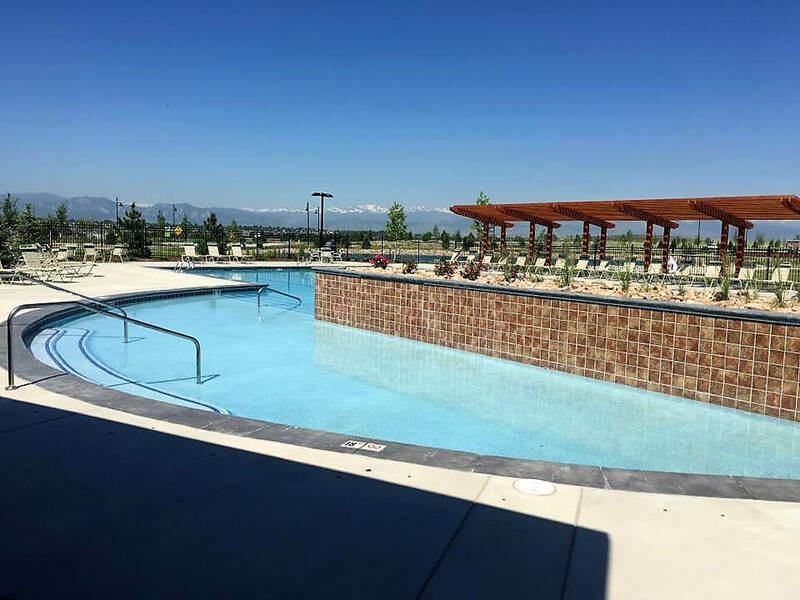 If you’re thinking about adding a pool to your Denver, Colorado home and you have questions about the pros and cons of a chlorine pool versus a saltwater pool, we’re happy to help. Call Wetworks Pool and Spa today at 720-401-0004 to speak with a local customer service representative. Or, if you’d like to schedule a time for us to come to your home to provide you with a no-cost installation estimate, we’re happy to help with that too! Call us today to get started. 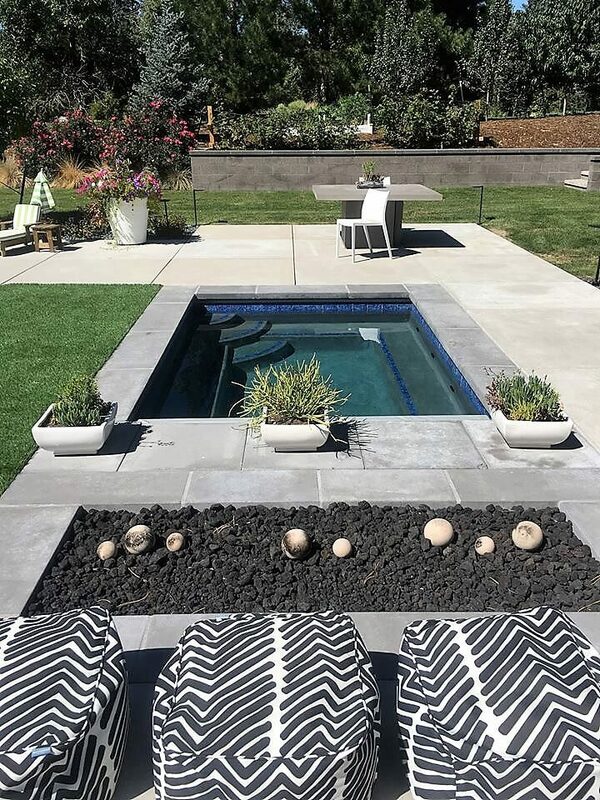 Yes, it may be October, but it’s never too soon to start planning for a custom in-ground pool, especially if you’re thinking of adding one to the yard of your Denver, CO home during the spring of 2019. 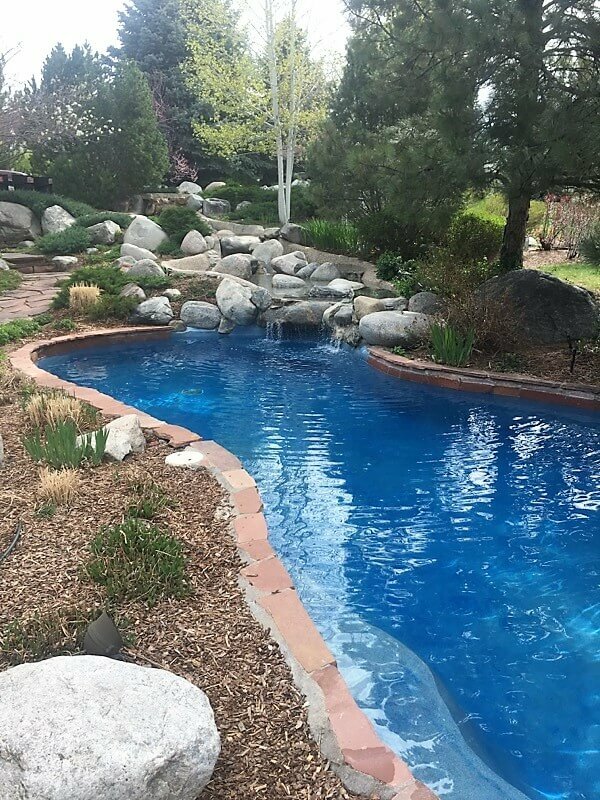 Wetworks Pool and Spa has years of experience in helping Northern Colorado homeowners with all of their swimming pool design and swimming pool maintenance needs. Our company can help both residential and commercial clients with custom pool design services; if you can imagine it, we can help you build it! We’ve helped design and install countless chlorine and salt-water pools; if you’d like more information about infinity edge pools, we’ll be happy to take as much time as needed to answer your questions and address your concerns. Our designers are available to assist you with your project, large or small. Call us today at 720-401-0004 to learn how Wetworks Pool and Spa can help make your swimming pool and/or spa dreams a reality. One of the most important things to keep in mind when you install a swimming pool is that you’ll need to maintain it. If you travel frequently or you’d simply like someone to help you keep your pool clean an algae-free, Wetworks Pool and Spa can help. Regardless as to whether you’re interested in having us out on weekly, monthly or quarterly basis, we’re here to help. If you want to set up an account, we can help you with that. Or, if you’d prefer to pay as you go, we can help you with that, too. It’s our goal to provide each and every one of our clients with solutions that meet their individual needs. Wetworks Pool and Spa has been serving clients in Denver, CO for more than two decades. Since that time, we’ve become the most reputable swimming pool design, swimming pool maintenance and spa install/maintenance companies in the region. We have an A+ accreditation with the Better Business Bureau and we’re committed to providing our clients with the highest levels of customer care and customer satisfaction as possible. 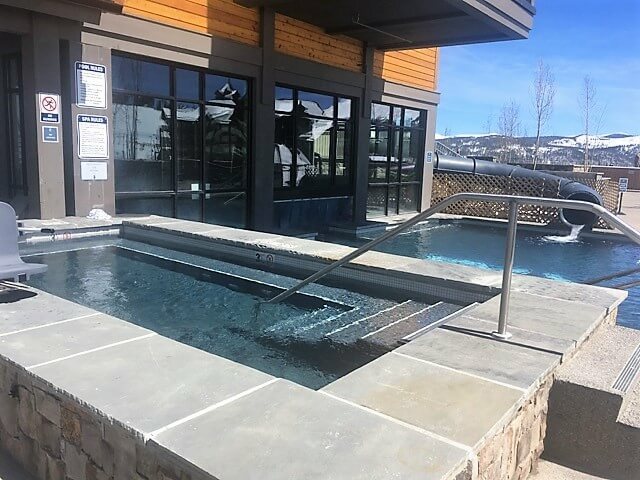 If you’re thinking about adding a swimming pool or spa to your Denver, CO home in 2019, call Wetworks Pool and Spa today to schedule a time for one of our design specialists to come out to your home. Remember, the sooner you start planning, the better! For more information on our company, the types of services we provide or to schedule a free design consultation, call us today at 720-401-0004 to learn more. What Plants Are Best (and Worst) For Use in Pool Landscaping? Hi. My husband and I are wanting to spruce up the area around our pool and we’re interested in adding some landscaping. The problem is that we have no idea what types of plants/ trees we should use. Can you give us a little advice? Thanks! — Gina L.
This is a pretty common question, and yes, there are plants that are better suited for use in around-your-pool landscaping. For example, you’ll want to steer clear of plants that have aggressive roots (ie: river birches and willow trees) because the roots can cause damage to the pool shell. If you’re interested in planting a few trees, you’ll want to make sure they won’t take over the yard. It’s also a good idea to plant them a bit farther away from the pool. You’ll also want to pay attention to which parts of your pool area get direct sun—if you plant big trees this can significantly alter the sunlight levels in parts of your yard. If you’re interested in adding some plants, you’ll want to find some that fit in the space you’re looking to add color to, and you’ll also want to choose plants that do well in the sun pattern that hits that space. A third thing you’ll want to take into consideration relates to the plant size. Namely, how big is it going to get? If you’re thinking about adding trees, you’ll want to keep in mind that the tree will look much different in 10 years than it will the day you put it into the ground. Plan accordingly! Lastly, if you want to add some color but you don’t have too much space for planting, you can always opt for potted plants. Potted plants are great because they won’t get too big, you won’t need to worry about their roots damaging the shell of your pool, and you can move them from one side of the yard to the other with relative ease. Our final piece of advice, is that you should choose plants that match your climate, will create minimal debris (ie: you don’t want to have plants or flowers that will shed a lot of pollen/leaves/flower petals, because all of that can wind up in your pool) and that will match the overall aesthetic of your yard. Regardless as to whether you currently have a pool, or you’re interested in exploring your options for adding a pool next summer, the experts at Wetworks Pool and Spa are here to help. When it comes to custom spas and swimming pools, if you can dream it, we can help you achieve it. We take pride in the work we do, and we’re committed to making sure that each and every one of our clients has the best customer care experience as possible. 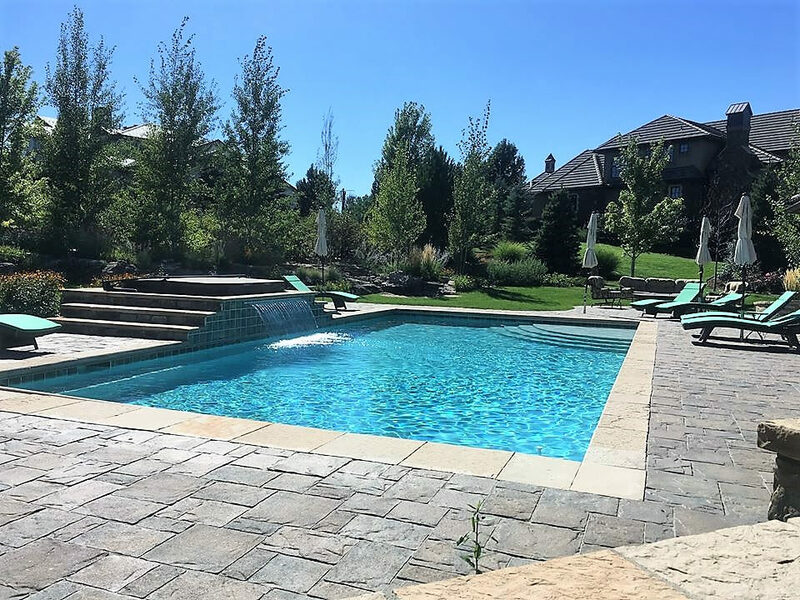 For more information on how our designers can help you create your dream pool, call our office today at 720-401-0004 to speak with one of our friendly Denver-based team members.